DELIVERY NOT AVAILABLE SELECT PICK UP OPTION. 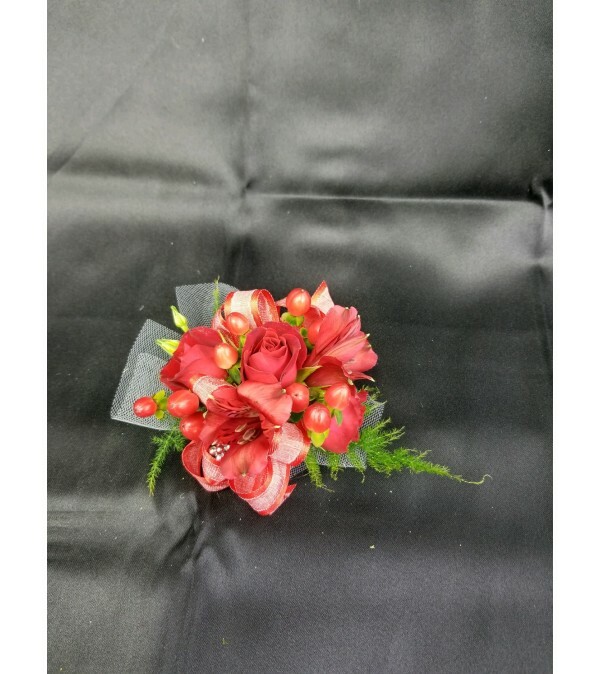 You can't go wrong with an all red wrist corsage. Classy, elegant, timeless. DELUXE includes a keepsake bracelet PREMIUM includes a keepsake bracelet and bling.